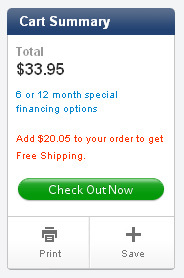 In Magento you can do the same in the checkout page. With the snippet below you can retrieve the free delivery amount value from the admin, convert it to the actual currency and do the math. It's important to convert the currency so the user can switch between EUR, USD or whatever currency you might have active. Also notice that my input currency is EUR, your might be different depending on the admin configuration. You can either show this on the cart or in the detail page. You could use $_product->getPrice() to retrieve the product price. Thanks for the Post, thanks for your useful Post. I will come back later !Thanks for the Post, thanks for your useful Post. I will come back later ! instead of just echo directly, it comforts you on translation later. Sorry, that was working perfectly well, indeed! Now I’m trying to display it now on header. Do you know how I can get the subtotal inlcuding tax?. He is now doing the calculation based on the non tax amount wich is not correct. Thanks Rick, Sorry but where do I need to put this? Below Subtotal? In the same place you put the other code. The new code I posted? I again, thank you for clarifying the tax issue. Back to the currency thing, anyone got an idea on how to make it work with more currencies? the problem I stated a few comments above is still there. Hmm maybe thats my problem. If I put in 100 for free shipping is that then in dollars? Can not understand why my calculation is incorrect. I’ve updated the post with the currency converter method! Ok, this code takes the free shipping amount from backend, but it takes it as amount and is still not respecting the currencies. If I havee free shipping from 100 Euro and change currency to USD, it won’t show the free shipping from 132$ (if 100€ = 132$) but from 100$. that means if a client buy today it can only select a date from tomorow. Hi Peter, I’m not sure what your question is. Hi all, I am back 🙂 I just found out that he is getting the wrong amount. If you have any discount on your products he doesn’t use them. Is there a way to get the Grandtotal including discount and tax? Hi Sander, did you manage to solve this? I face the same issues. I’m from german, we have 2 Tax 19% and 7% tax, how can I change that in PHP code? I guess it depens on the client, right? You need to use diffent customer types and assing each Tax type. You can do it all using the Admin. 4.787.485 post views so far. This page needed 46 queries to load.